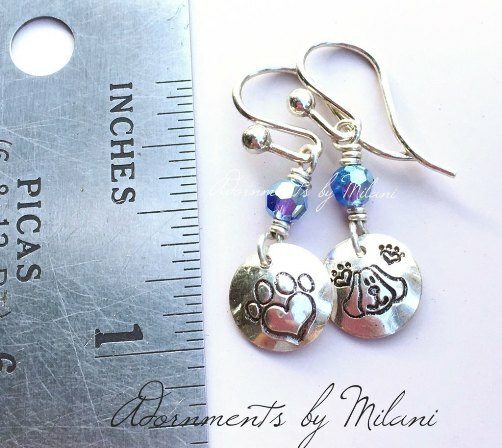 These dog earrings are the perfect gift for a fur-mom/doggy lover! 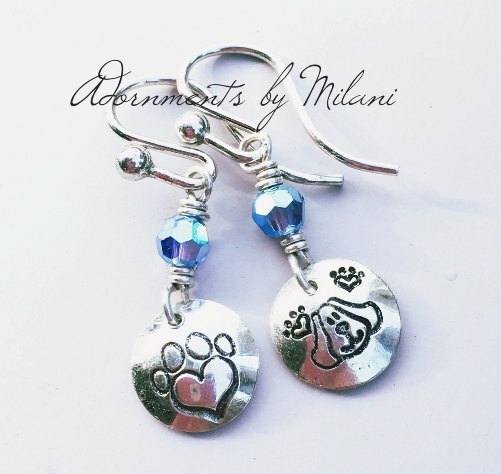 They are comprised of sterling silver and Swarovski crystals. ALL metal is solid, sterling silver 925. The height is approximately one inch. 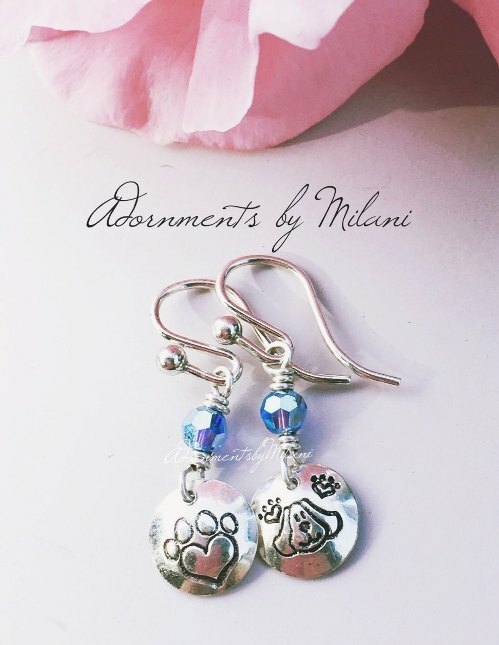 This is available in many other colors; just indicate your preference, upon purchase. THANK YOU for your time. Please contact me for any questions. Due to the handmade nature, please allow for two weeks production time, plus shipping. This item contains leaded components and is not intended for young children under the age of 12, due to the possibility of lead exposure.